In 2009, the Afghan Congress ratified the Elimination of Violence Against Women Act (EVAW), which criminalized the traditions of forced marriage, enslavement and abuse of women. Unfortunately, Afghan women are still being put in prison for resisting these cultural practices. According to the U.S. State Department, seventy-five percent of the Afghan women in prison are condemned for cultural practices protected from punishment by EVAW. 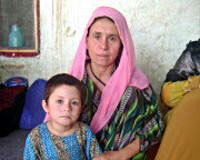 The fate of these women depends upon the vigilance of leaders in the U.S. and Afghanistan. Action in both countries is imperative in order to end this harrowing practice of gender-based injustice.